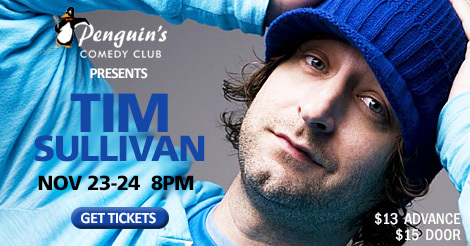 Tim Sullivan is one of the country’s best comedians you have never heard of. 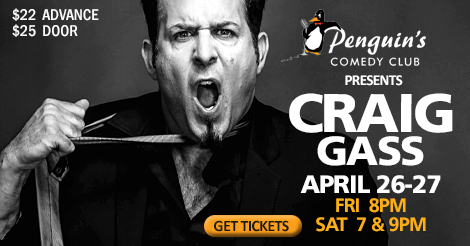 He got his start in comedy at the age of 18 combining hyper attention deficit disorder with an amusingly acute take on life for one of the highest intensity shows in stand-up, making him an audience favorite. Tim has traveled the country from coast to coast for twenty years and while he has yet to receive his big break he has appeared on H.B.O and is heard regularly on Sirius/XM-Raw Dog and Laugh U.S.A.
Tim’s show is versatile enough to allow him to open for many notable acts over this past year including: Dave Chappelle, Bob Saget, Jim Bruer, Joe Torrey, Kris Kattan, Kevin Pollack, Louie Anderson, BobCat Goldthwait, Tom Arnold, Jon Lovitz, Tru TV’s The Impractical Jokers and WWE Hall of Famer Mick Foley. Tim also performs many corporate shows and company holiday parties throughout the year. 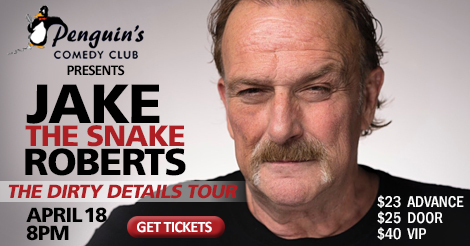 If you get the chance to see or book him for a show you won’t be disappointed. Below is a letter from a recent conference Tim has performed for.